Meon Valley A lost out 75-46 to Lockswood A in the Palmerston Cup. It started badly for Meon, writes Brian Knight. Anne Simmons’ rink fell 16-1 down to Lockswood skipper Lorraine Slater’s rink after just six ends. The Meon Valley players never found their form and they fell to a 38-6 defeat. A better start saw Phil Walker take a 12-3 lead against Lockswood’s Andy Dawson after seven ends. But Lockswood scored seven shots. Then later a four brought them back to 15-15 after 13 ends. From then on it was Lockswood who pushed on to win 25-16. Meon Valley’s John Travers enjoyed a dominant 24-12 win against Lockswood’s Brian Morgan but that was not enough to stop the overall deficit. Lockswood earned 10 points for their win and Meon Valley picked up just two. In the other match Bridgemary Select defeated Lockswood B 68-36. 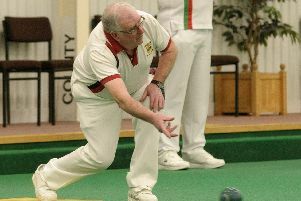 Bridgemary’s Janet Miskin led 10-2 against Lockswood’s Neil Fletcher after five ends. Lockswood then had a revival, picking up five shots to come back to 10-7. But Bridgemary pushed again and went on to win comfortably 33-10. The rinks of Bridgemary’s Lesley Howell and Lockswood’s Water Metcalf had a close game. Lockswood were always just in front and despite the final three ends going to Bridgemary it was Lockswood who just won 16-14. 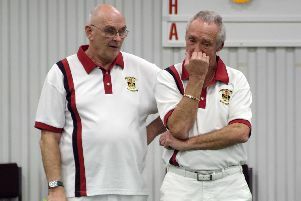 Bridgemary’s Peter Cooper went 12-1 up against Lockswood’s Murray Gorman after six ends. The match continued that way to the end with Bridgemary winning 21-10. Bridgemary picked up 10 points to Lockswood’s two.